Super Scratch Programming Adventure! : Learn to Program By Making Cool Games is a book that aims to teach kids to code in a fun way. My older son is now 6.5 so it's about time he learned to code! We've done bits and pieces before and he's pretty adept with getting his BigTrak programmable vehicle to do what he wants. Now it's time for the next step. Scratch is a visual programming language that uses lots of graphics and sound and simple building blocks to make things easy and interesting for kids. I thought my son would enjoy a book so he's got something with a bit of structure to follow so he can learn about the techniques that are available to him. 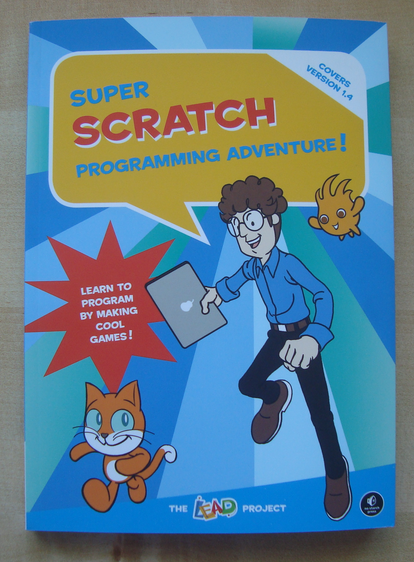 There are a few Scratch programming guides around but this one jumped out at me immediately because of it's visual design and adventure theme. Super Scratch Programming Adventure introduces each chapter with a full color comic telling the next part of the story that runs through the book. And the exercises in the book are all beautifully laid out too. This does not look like a stuffy text book at all. When the book arrived my son took to it immediately. The adventure than underpins the book is packed with just the sort of things that will appeal to a primary or middle school aged boy - space aliens, an Egyptian pyramid, magic and gemstones. First he had a quick look at the book and then had a play with Scratch. Not following the instructions yet, but playing around with things. Then he wanted to read through the comic adventure parts to see what would happen and make sure he liked it - he did, very much! The book itself is absolutely gorgeous. The quality of the printing, paper and cover is amazing. I think it makes sense to have a physical copy of this book as you can easily have it open next to the computer. There is an eBook version available if you prefer the portability of that option. You get a set of downloadable projects that are used to jumpstart the exercises. Completed versions are also included in case you get stuck or just want to play around. 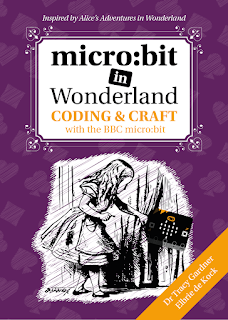 This video will give you an idea of the kinds of projects kids will be building with this book. One thing I wasn't too keen on is that the first chapter begins by telling you various things you need to know 'before getting started'. Well they are things you need for the exercise, but I think it would have been better to start with an even simpler exercise that didn't need that additional knowledge just to get kids hands-on as soon as possible. We just took a quick break from the book to play around with Scratch before starting the exercise. Scratch Programming Adventure is for kids from age 8 up and even younger kids with help from their parents. At 6 I expect my son to need a bit of help. He hasn't learned about measuring angles in degrees or coordinate systems at school yet and the first exercise uses these. That's fine - he really should know about those things and it's a good prompt to cover them. I'll be updating this review as we make our way through the book. So far, we love it. It's very well targeted and my son is so excited to be making things happen himself. Update 1: OK, We're now most of the way through Stage (Chapter) 2 and we only stopped there because my son really, really had to go to bed. He wanted to finish the whole book! In Stage 1 he decided to get rid of Scratchy the Cat and replace him with a Buffalo and insisted on using a desert background instead of the coordinate grid. He also found things were going too fast so I gave him some hints on how to slow it down. This is one of the things I really like about this book - there's enough flexibility to do your own thing and still be able to follow the instructions and make it work. The Buffalo stayed for Stage 2 and is now the star of the story. My son has been able to do most things by himself. I've just helped him to keep track of where he is in the book and read out some of the instructions for him. I've also been showing him some quicker ways to do things like copy and paste and using Tab to navigate through inputs. At 6 years old my son isn't completely understanding everything that he's doing, but I'm amazed at how much he is taking in and how much he's enjoying it. Next step is to move over to a Raspberry Pi because otherwise his little brother won't get a look in on the family computer. Elbrie de Kock is a designer, digital marketeer, event organiser and digital parenting pioneer. She runs a Code Club and a Coder Dojo. Elbrie is one of the lead organisers of Hacksoton, Young Rewired State Southampton and other local events as well as being a director of Tech Age Kids Ltd.
Elbrie enjoys learning about technology and sharing her design skills with her two younger children and helping her teenager find the right path for a tech career. Tracy Gardner has a PhD in Computer Science and spent her career in industry developing software. Now she works to educate and enthuse the next generation about technology. She teaches computing to primary school children, is a freelance educational content writer and a director of Tech Age Kids Ltd.
Tracy enjoys playing Minecraft, programming robots, trying out new technology and making things with her two children. Sphero Mini vs SPRK+ vs BB-8 vs BB-9E - Which One Should You Choose? Making a Lemon Battery and How Does it Work? 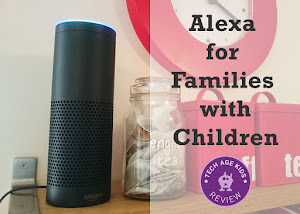 We love kid tech and share product reviews, gift guides, tech parenting tips, projects to try and much more. As parents of tech age kids ourselves, we write about our hands-on-experience and personal insight. Find out more about us. Join us on our Tech Age adventure. What is Tech Age Kids? 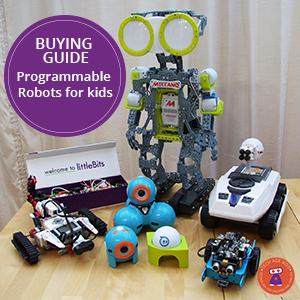 Tech Age Kids is an online company that helps parents and educators find constructive and creative uses of technology for children and teens. 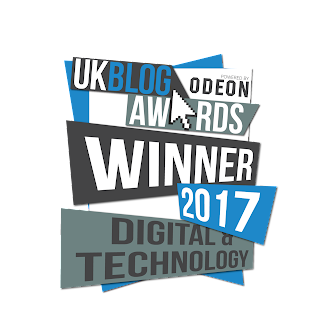 You’ll find approachable project ideas, news, and reviews of the latest educational and creative technology products, as well as advice on digital parenting issues. Copyright Tech Age Kids 2013-2018. Powered by Blogger.